Homicide detective Ryan Clark has a problem. A prominent businessman has been assassinated by a drive-by shooting. Two weeks earlier another man, in the same industry, was shot and killed. He suspects the assassinations are related and calls an old friend with the FBI. When FBI profiler special agent Sean Kruger arrives at the scene of the second murder, he agrees with Clark but is hesitant to get involved. After 25 years with the FBI, he is tired of the bureaucracy and politics of the job. His constant traveling has kept him away from the woman he loves and he is contemplating retiring to start a new life with her. A week later, while home in Kansas City, the assassin strikes again. Only this time close to where he lives and suddenly the search becomes personal. With the help of JR Diminski, the computer genius from The Fugitive's Trail, Kruger identifies a suspect and travels to Alabama for the arrest. Politics and micromanaging complicate the situation. Kruger is ordered to wait, but disobeys and proceeds with the arrest. When everything goes horribly wrong, he is suspended by the director of the FBI. Now outside the protection of the agency, he must decide whether to walk away from his career or put his new marriage and life in danger by pursuing the assassin. An assassin whose ultimate goal is an attack in the center of the United States. An attack that will result in more innocent casualties than 9/11. I loved this book - I couldn't imagine it to be better than book 1 but it is!!. An FBI thriller all the way this series is at the top of the genre. 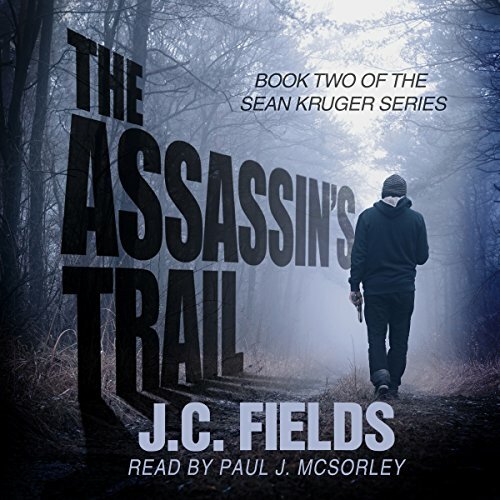 Some times a narrator becomes the voice of a book series and Paul.J McSorley has done just that - I couldn't imagine anyone else as special agent Sean Kruger. I received a free copy of this audiobook at my request and voluntarily leave this review. Cannot recommend this book highly enough, if I could give it more stars I would. I loved this thrilling book. 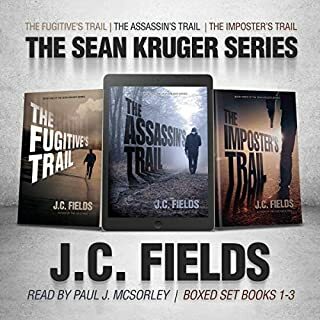 The main character in this story is Sean Kruger who was introduced in The Fugitive's Trail. 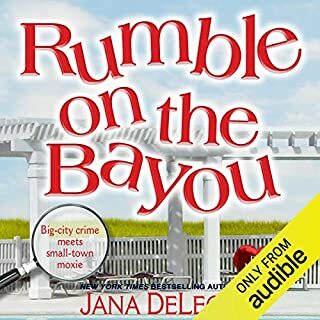 This book is a standalone listen, yet has some characters from the previous book. It is not a cliffhanger. I loved how this book moved along and was also thought provoking. The author wrote such great imagery in this book and kept the twists and turns coming. The narrator added much enjoyment to this book with his various characters distinguishable voices and emotions. I requested this review copy audiobook and have voluntarily written this review. Typically I listen to romance books, but I enjoy a good thriller too. I will definitely listen to more books by both this talented author and narrator. I highly recommend this book for fans of Tom Clancy's political thrillers. Sean Kruger has been working for the FBI and is getting ready to retire. His priorities are changing with a new wife and fatherhood. In this book he is fighting against the clock as an assassin travels the country killing key political figures and Middle Eastern religious extremists are plotting terrorist attacks. Krueger is frustrated and foiled by some inept colleagues (who are very easy to dislike!) and assisted by clever and out-of-the-box thinking friends. The very real and scary thing about the story is that what is described could actually happen in the United States. It's chilling! I definitely think this book is character driven. I found Sean's age and maturity to be refreshing when many political thrillers have young detectives who are impulsive and still trying to learn their way around solving crimes. 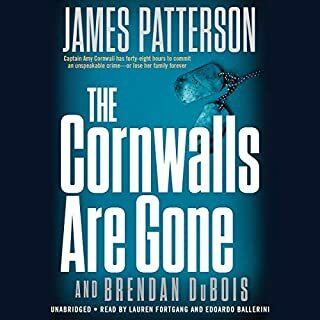 This is the first book in the series that I have read but I felt like I caught on pretty quickly. The fact that we spend an equal amount of time with the bad guys helps move the story forward by understanding their motivation and ideals. (They're angry that the US Army contractors didn't provide adequate protective equipment for soldiers in Iraq and Afghanistan.) Spending time in their heads was an interesting psychological experience for me as a reader / listener. I received a copy of this book in exchange for an honest review via audiobook boom. Another great read about FBI profiler special agent Sean Kruger, and although it is part of a series it can be read as a stand alone as well. 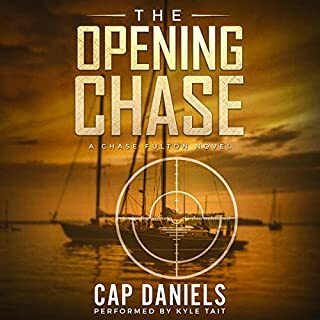 The story begins with New York Police detective and friend of Kruger, Ryan Clark, investigating the assassination of a prominent business man, followed by a second one shortly after. Clark suspects the two murders are tied together and calls Kruger for his opinion and help. 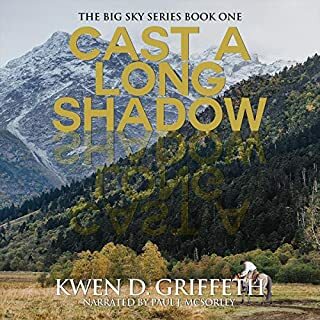 Kruger is reluctant to help, partly because of his disillusionment with the beuarocracy of the FBI and partly because all his travels are keeping him away from his new found love. When the assassin strikes again, this time a block from his home, Kruger agrees to the assignment. Initially forced to work under an old rival and incompetent agent who has been promoted to being in charge of the Kansas City FBI office, Kruger's investigation takes him to Alabama to make an arrest. Things take a nasty turn when the suspect blows himself and his house up leaving a barn full of explosives and Kruger suspects terrorists. This is exactly the opposite of his temporary and incompetent supervisor who announces the suspect was working alone and the case is closed. And the story develops from there with Kruger working for his immediate supervisor on the sly, and with his old friend JR Diminski and others, even involving the president, and crossing the country from one side to the other and in between. I received this book for free for an honest review. This was a fantastic read. I loved the main character and the story line wasn't so far fetched you couldn't believe it. The narrator was a bit monotone for me but not terrible. I will definitely be getting the next book in this series!! Enjoyed the intrigue while driving for hours and hours. Held my attention throughout. Can't wait for J. C. Field's next book! Narrator did a great job! I’ve got to say, I love a good detective story and that is just what I found with ‘The Assassin’s Trail’ by J C Fields. This instalment of the Sean Kruger series has inspired me to check out more of Mr Fields works. I’m glad to be able to add a new face to my list of go to authors. This book is fast paced and the story line holds you right to the very end. 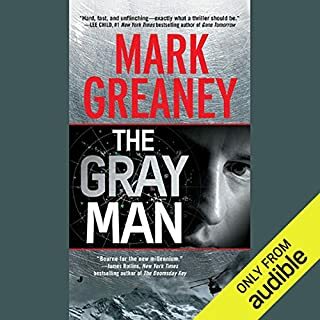 The main character often times reminded me of Faye Kellerman’s Detective Peter Decker with the interweaving of Sean’s personal family life into the storyline. I highly recommend that you check out this book. You will be glad you did. Book two in the Sean Kruger saga continues where book one left and maintains the same fast paced action and drive the author Fields is becoming noted for. I particularly enjoyed the internal conflict Kruger felt as he tried to balance his dedication to his job, the wishes and desires of his wife and his personal expectations, I am anxiously looking forward to number three. Books are theater of the mind and the importance of the voice narrating cannot be underestimated. Mr. McSorley's abilities in this area allows him to do much more than just read the story aloud, he provides a verbal soundtrack.